What’s inside Jennifer Aniston’s tote! Like how Jennifer mixes and matches her necklaces? You can do it too, courtesy of the Basket Pave Pendant and the Signature Necklace from Cole Haan. Sometimes, even your flawless LBD needs some sparkle help! Arm candy via this Signature Bangle is always welcome! Tank it up with your everyday watch or another bracelet like Jennifer or let it fly solo. 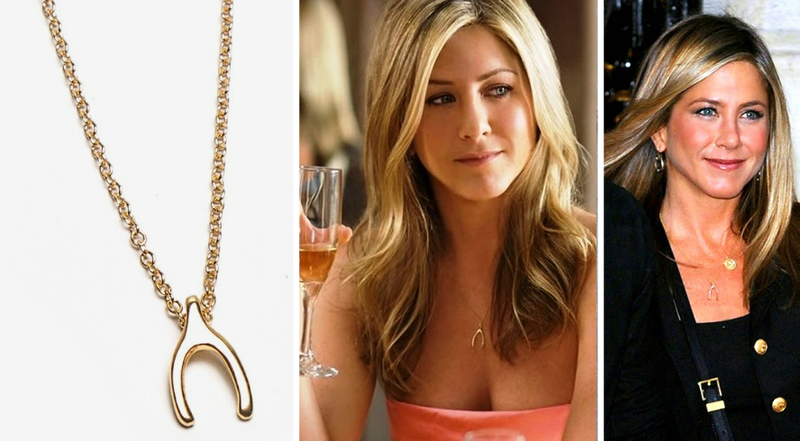 If Jennifer Aniston was customizing her tote, we bet these three items of clothing and two accessories would catch her fancy! 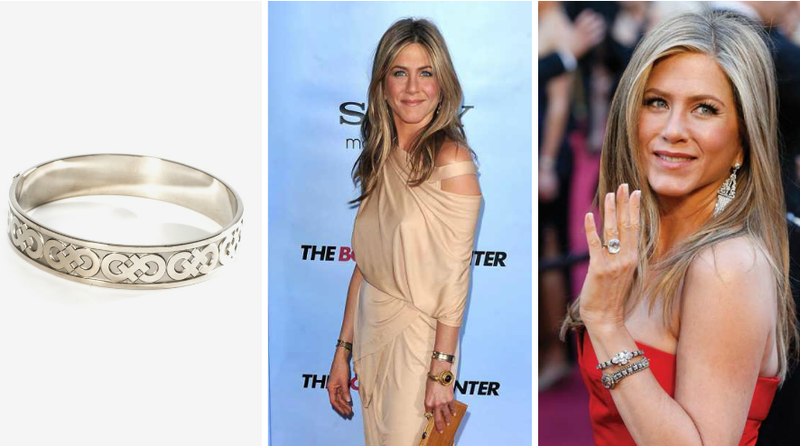 Delicate jewelry, gold or silver tone, worn individually or layered is her go-to accessory style. She’s not quite likely to be spotted in chunky colorful baubles and beads or over the top chandelier earrings, but a quiet and classic necklace such as this Wishbone Pendant by Camilla is right up her alley. A black leather jacket like this flattering Drape Vegan Leather Jacket by BB Dakota will totally find its way into her tote. A biker jacket is one of her most preferred outerwear pieces, we can totally see her rocking it with a chunky scarf. She’s quite the girl next door, living day in and night out in her trusty jeans. Skinny or bootcut, as long as it’s denim, it goes. These Skinny Denim Jeggings by DKNY Jeans are bound to be her new wardrobe essential — both in the winter and hot LA summer. Little Black Dress + Jennifer Aniston = Instagram + fashionista. You can’t imagine one without the other! She likes her LBDs simple and fuss-free. A classic A-line silhouette, a minimal maxi or a pretty strapless dress. We can totally imagine her work the red carpet in our Textured A-Line Dress by Everly. She likes her bags discreet and practical. Our Grommet Saddle Bag by Octavia & Co. fits the bill perfectly. It’s simple shape and versatile vibe makes it a perfect everyday bag. What’s not to love!